After the long dominance of German masters of the musical art, a reaction could not fail to come with the restless tendencies of other nations, who, having learned the lesson, were yet jealous of foreign models and eager to utter their own message. The later nineteenth century was thus the age of refraction of the classic tradition among the various racial groups that sprang up with the rise of the national idea. 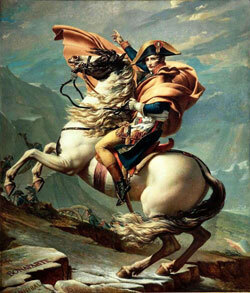 We can see a kind of beginning in the Napoleonic destruction of feudal dynasties. German authority in music at the beginning of the century was as absolute as Roman rule in the age of Augustus. But the seed was carried by teachers to the various centres of Europe. And, with all the joy we have in the new burst of a nation's song, there is no doubt that it is ever best uttered when it is grounded on the lines of classic art. Here is a paramount reason for the strength of the modern Russian school. With this semi-political cause in mind it is less difficult to grasp the paradox that with all the growth of intercommunication the music of Europe moves in more detached grooves to-day than two centuries ago. The suite in the time of Bach is a special type and proof of a blended breadth and unity of musical thought in the various nations of Europe of the seventeenth century. In the quaint series of dances of the different peoples, with a certain international quality, one sees a direct effect of the Thirty Years' War,—the beneficent side of those ill winds and cruel blasts, when all kinds of nations were jostling on a common battle-ground. And as the folk-dances sprang from the various corners of Europe, so different nations nursed the artistic growth of the form. Each would treat the dances of the other in its own way, and here is the significance of Bach's separate suites,—English, French and German. Nationalism seems thus a prevailing element in the music of to-day, and we may perceive two kinds, one spontaneous and full of charm, the other a result of conscious effort, sophisticated in spirit and in detail. It may as well be said that there was no compelling call for a separate French school in the nineteenth century as a national utterance. It sprang from a political rather than an artistic motive; it was the itch of jealous pride that sharply stressed the difference of musical style on the two sides of the Rhine. The very influence of German music was needed by the French rather than a bizarre invention of national traits. The broader art of a Saint-Saëns here shines in contrast with the brilliant conceits of his younger compatriots, though it cannot be denied that the latter are grounded in classic counterpoint. With other nations the impulse was more natural: the racial song of the Scandinavians, Czechs and other Slavs craved a deliverance as much as the German in the time of Schubert. In France, where music had long flourished, there was no stream of suppressed folk-song. But the symphony must in the natural course have suffered from the very fullness of its own triumph. We know the Romantic reaction of Schumann, uttered in smaller cyclic forms; in Berlioz is almost a complete abandonment of pure music, devoid of special description. Liszt was one of the mighty figures of the century, with all the external qualities of a master-genius, shaking the stage of Europe with the weight of his personality, and, besides, endowed with a creative power that was not understood in his day. 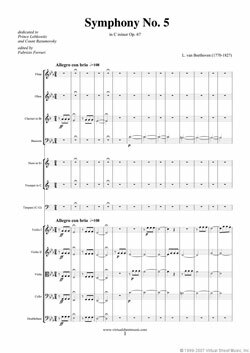 With him the restless tendency resulted in a new form intended to displace the symphony: the symphonic poem, in a single, varied movement, and always on a definite poetic subject. Here was at once a relief and a recess from the classic rigor. Away with sonata form and all the odious code of rules! In the story of the title will lie all the outline of the music. Yet in this rebellious age—and here is the significance of the form—the symphony did not languish, but blossomed to new and varied flower. Liszt turned back to the symphony from his new-fangled device for his two greatest works. It has, indeed, been charged that the symphony was accepted by the Romantic masters in the spirit of a challenge. Mendelssohn and even Schumann are not entirely free from such a suspicion. Nevertheless it remains true that all of them confided to the symphony their fairest inspiration. About the middle of the century, at the high point of anti-classical revolt, a wonderful group of symphonies, by Berlioz, Mendelssohn, Schumann, and Liszt, were presented to the world. With the younger Brahms on a returning wave of neo-classicism the form became again distinctively a personal choice. Finally, in the spontaneous utterance of a national spirit on broad lines, as in the later Russian and Finnish examples, with the various phases of surging resolution, of lyric contemplation and of rollicking humour, the symphony has its best sanction in modern times. To return to the historical view, the course of the symphony during the century cannot be adequately scanned without a glance at the music-drama of Richard Wagner. Until the middle of the century, symphony and opera had moved entirely in separate channels. At most the overture was affected, in temper and detail, by the career of the nobler form. The restless iconoclasm of a Liszt was now united, in a close personal and poetic league, with the new ideas of Wagner's later drama. Both men adopted the symbolic motif as their main melodic means; with both mere iteration took the place of development; a brilliant and lurid color-scheme (of orchestration) served to hide the weakness of intrinsic content; a vehement and hysteric manner cast into temporary shade the classic mood of tranquil depth in which alone man's greatest thought is born. But a still larger view of the whole temper of art in Europe of the later century is needed. We wander here beyond the fine distinctions of musical forms. A new wave of feeling had come over the world that violently affected all processes of thought. And strangely, it was strongest in the land where the great heights of poetry and music had just been reached. Where the high aim of a Beethoven and a Goethe had been proclaimed, arose a Wagner to preach the gospel of brute fate and nature, where love was the involuntary sequence of mechanical device and ended in inevitable death, all overthrowing the heroic idea that teems throughout the classic scores, crowned in a greatest symphony in praise of "Joy." Such was the intrinsic content of a "Tristan and Isolde" and the whole "Nibelungen-Ring," and it was uttered with a sensuous wealth of sound and a passionate strain of melody that (without special greatness of its own) dazzled and charmed the world in the dramatic setting of mediaeval legend. The new harmonic style of Wagner, there is good reason to suppose, was in reality first conceived by Liszt, whose larger works, written about the middle of the century, have but lately come to light. In correspondence with this moral mutiny was the complete revolt from classic art-tradition: melody (at least in theory), the vital quality of musical form and the true process of a coherent thread, were cast to the winds with earlier poetic ideals. 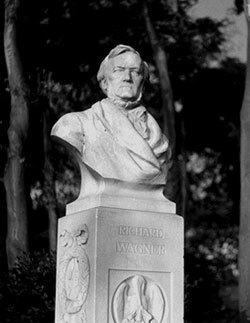 If it were ever true that a single personality could change an opposite course of thought, it must be held that Richard Wagner, in his own striking and decadent career, comes nearest to such a type. But he was clearly prompted and reinforced in his philosophy by other men and tendencies of his time. The realism of a Schopenhauer, which Wagner frankly adopted without its full significance (where primal will finds a redemption in euthanasia), led by a natural course of thought to Nietzsche's dreams of an overman, who tramples on his kind. In itself this philosophy had been more of a passing phase but for its strange coincidence with the Wagnerian music. The accident of this alliance gave it an overwhelming power in Germany, where it soon threatened to corrupt all the arts, banishing idealism from the land of its special haunts. The ultimate weakness of the Wagnerian philosophy is that it finds in fatalism an excuse for the surrender of heroic virtue,—not in the spirit of a tragic truth, but in a glorification of the senses; just as in Wagner's final work, the ascetic, sinless type becomes a figure almost of ridicule, devoid of human reality. It is significant that with the revival of a sound art, fraught with resolute aspiration, is imminent a return to an idealistic system of philosophy. In the musical art even of Germany the triumph was never complete. The famous feud of Brahms and Wagner partisans marked the alignment of the classical and radical traditions. Throughout the second half of the century the banner of a true musical process was upheld; the personal meeting of the youthful Brahms with the declining Schumann is wonderfully significant, viewed as a symbol of this passing of the classic mantle. 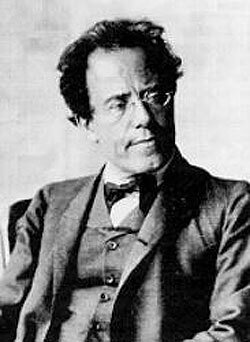 And the symphonies of Gustav Mahler seem an assurance of present tendencies. The influence of Bach, revived early in the century, grew steadily as a latent leaven. Nevertheless in the prevailing taste and temper of present German music, in the spirit of the most popular works, as those of Richard Strauss, the aftermath of this wave is felt, and not least in the acclaim of the barren symphonies of a Bruckner. It is well known that Bruckner, who paid a personal homage to Wagner, became a political figure in the partisan dispute, when he was put forth as the antagonist of Brahms in the symphony. His present vogue is due to this association and to his frank adoption of Wagner idiom in his later works, as well as, more generally, to the lowered taste in Germany. In all this division of musical dialect, in the shattering of the classic tower among the diverse tongues of many peoples, what is to be the harvest? The full symbol of a Babel does not hold for the tonal art. Music is, in its nature, a single language for the world, as its alphabet rests on ideal elements. It has no national limits, like prose or poetry; its home is the whole world; its idiom the blended song of all nations.